The Best Golf Clubs On The Market: Which One Is Right For You? ​Fitting, and getting the right clubs has been one of, if not the most important aspect of taking your game to new heights. Yet, it is often overlooked by many golfers, often going with what is trendy at the moment, instead of embracing the importance of personalization of each club. 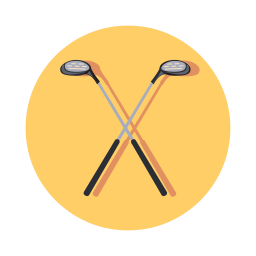 Each type of golf club has its own objective. Some ​clubs are aimed at hitting long distance (like drivers), whereas some clubs are aimed at precision (like putters for example). There are generally three important components in a golf club: the head, shaft, and the grip. Let us do a quick overview of each of them. As the name may suggest, the grip is the part where you hold (grip) onto the club, generally goes over the last eight inches of the shaft. The grip is usually made of rubber, and you may see clubs identified with Standard, Midsize, or Jumbo/Oversize grips. You should select a grip based on the size of your hand. Nowadays, grips come in various design and textures, as well as color, but the purpose remains one: to grip the club in the most stable way possible. The cylindrical shaft is commonly made of graphite or metal and is often deemed the most important part for club fitting, with its own reasons. The length will vary depending on the installed club head, but the main thing you should look for in a shaft is its flexibility. A shaft can come in different flexes, so it can be stiffer or more flexible, which will cater to different swing speed and play style. The biggest factor in determining which flex is best for you is your club head speed, and admittedly, choosing the right flex for you might be the hardest task, and may involve a lot of trials and errors. You might also consider consulting a professional fitter. 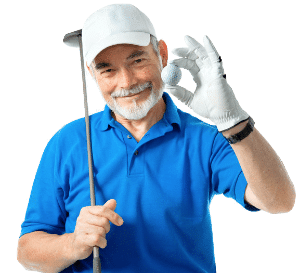 Yet, the most common flex for women is L, and for men, it is R.
The club head is the part of the club hitting the ball, and is the main feature in selecting a club brand. 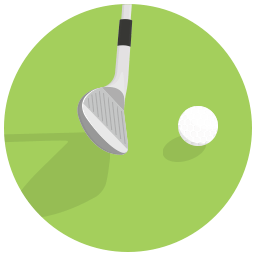 The club head is where manufacturers put their R & D into good use, and thus each manufacturer has different technologies implemented in the club head. The sought-after characters in a club head will be different or each club type, so we will discuss more in each type section below. We will discuss each of them below. There is another major category, the Hybrid, which is a cross between a Driver and an Iron, so we will discuss a bit about Hybrid clubs in the Iron section. Drivers are also often called by 'Woods' or '1 Wood', mainly because woods used to be their main material. Nowadays, drivers are made from steel, titanium, or other modern metal materials. Drivers have the largest club head in the bag, and as the name suggests, they are mainly used off the tee box for your first shot, usually on a Par 4 or 5. 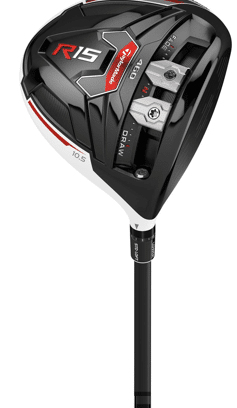 "If you're looking to get the best driver for the price, the R15 has incredible qualities in terms of distance and technology that make it an attractive choice at this price." "It's ideal for golfers that are looking to take it to the next level. 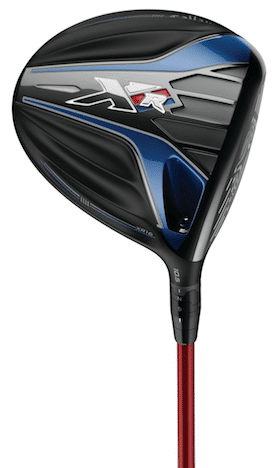 Most confirmed players will be able to grasp the full potential of the XR 16." With putters, the purpose of the clubs are clear: getting the ball into the hole. Thus, the emphasis of the design and technology involved are control and accuracy.